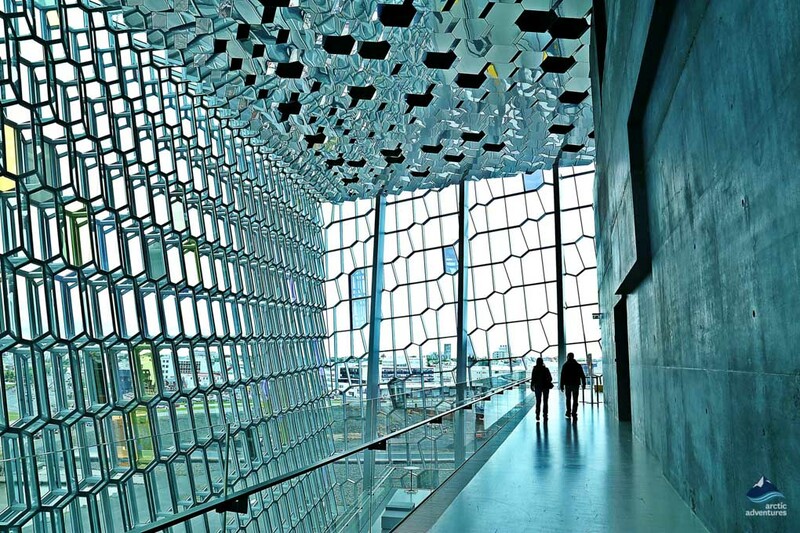 Harpa musical and conference hall is one of Reykjavík’s most famous landmarks. Opened in 2011 this Architectural Masterpiece is a must-see while visiting Iceland. 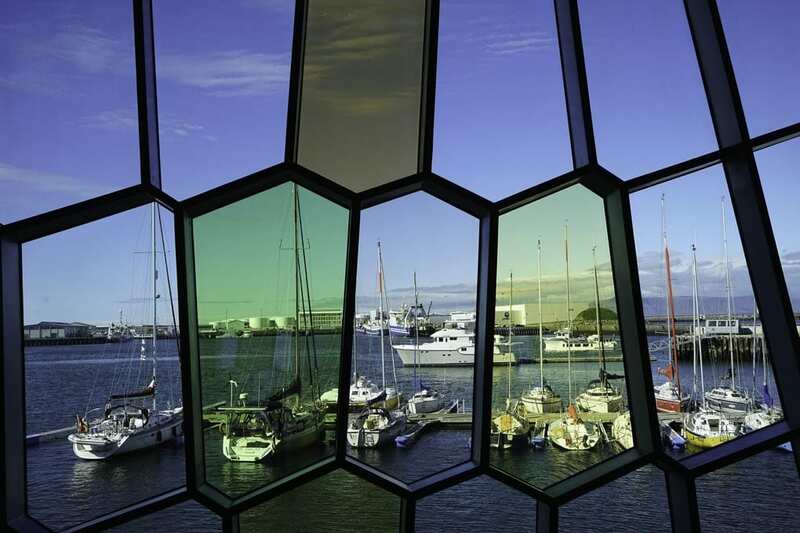 Harpa, although young in age, has become one of Reykjavik‘s greatest and most distinguished landmarks. The first concert was held on the 4th of May 2011 and since then the center has attracted 10 million guests. It is Reykjavík’s cultural and social center standing gracefully in the center of downtown Reykjavík and plays a big part in most of the city’s events. 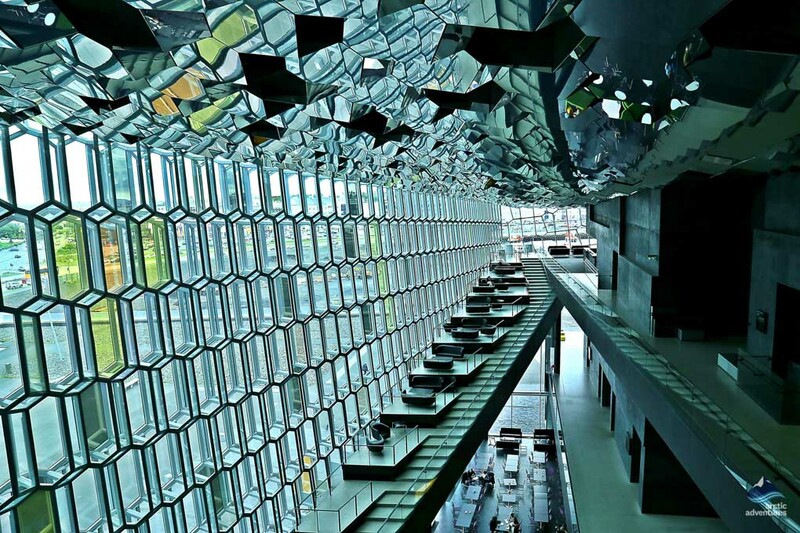 Harpa and its award-winning architecture are truly a must see while exploring Reykjavík and in this article, we will go over the multiple ways to do so. The building of Harpa started in the year 2007 but a year later the financial crisis shook the country and the construction was halted. Later in 2008, the government decides to this half-finished building needed to be finished and for several years Harpa was the only construction project in progress in Iceland. 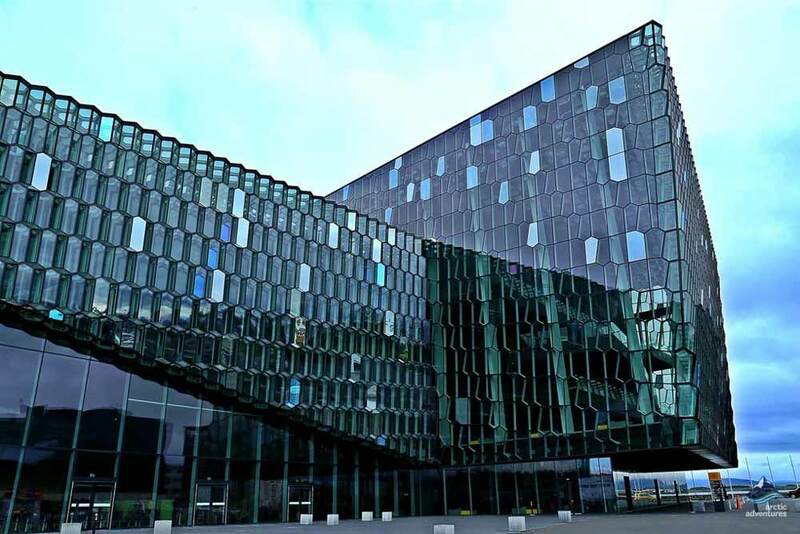 Harpa is the first building in Reykjavík ever to be built to serve as a concert hall and was developed in consultations with artistic advisor Vladimir Ashkenazy and international consultant Jasper Parrott of Harrison Parrott. 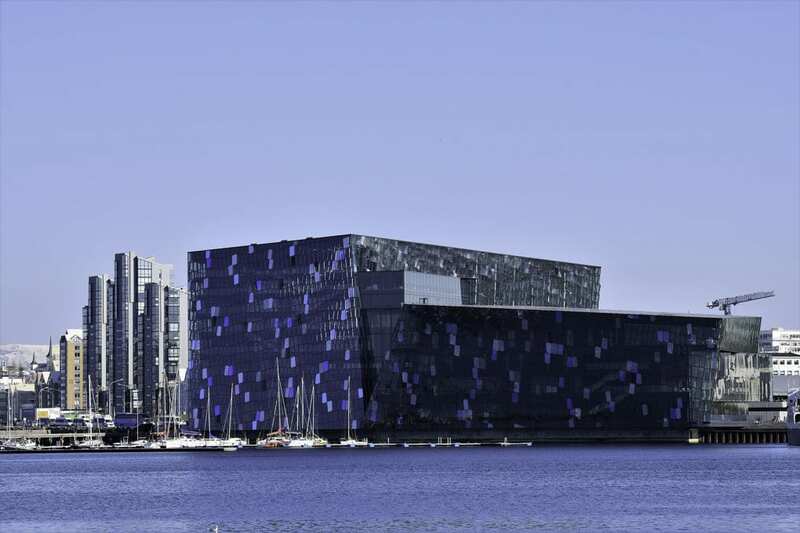 Today Harpa houses the Iceland Symphony Orchestra and The Icelandic Opera’s offices. The inside of the building is best to enjoy during the daytime but during the night time the outside of Harpa lights up in multicolored waves and anyone who visits is truly in awe. So our recommendations are to visit during daytime and then walk past again at night time. The name of the concert and conference hall was made public two years before the first concert, on the 11th of December in 2009. The name Harpa stood out as a winner after a competition was held where 1200 citizens proposed 4,156 names. 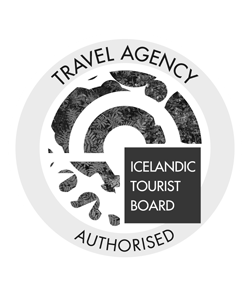 The demand was that the name would be in Icelandic but still easy for foreign language speakers to pronounce. The name has more than one meaning, one being musical, Harpa is the Icelandic word for the instrument Harp. And the second meaning is from the Viking times. In the Viking times, a different way was used to count the months, it had to do with crops, weather, and pagan traditions and in this Nordic Calendar, there was a month called Harpa. 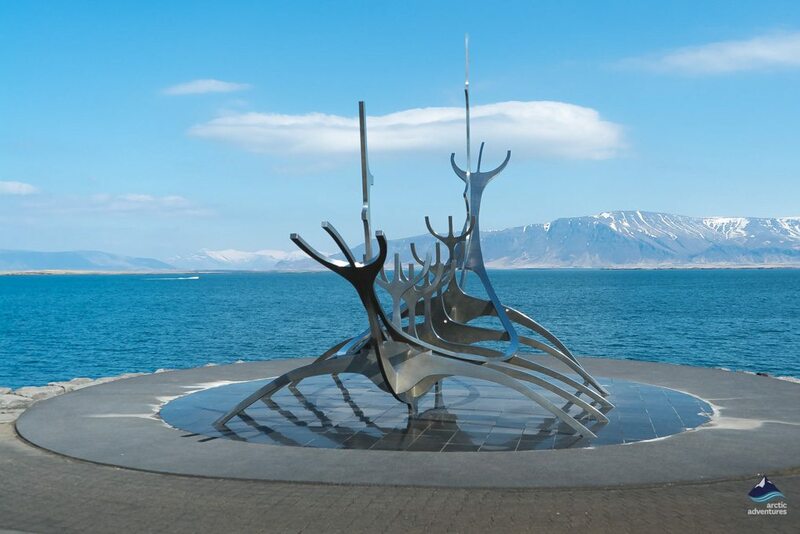 The first day of Harpa is celebrated in Iceland as the first day of summer and marks the beginning of a brighter time. Harpa Concert and Conference Hall was designed by the Danish company Henning Larsen Architects in a collaboration with one of Iceland’s most famous artists Ólafur Elíasson. The structure of the building consists of a steel framework that holds multicolored geometric shaped glass panels. 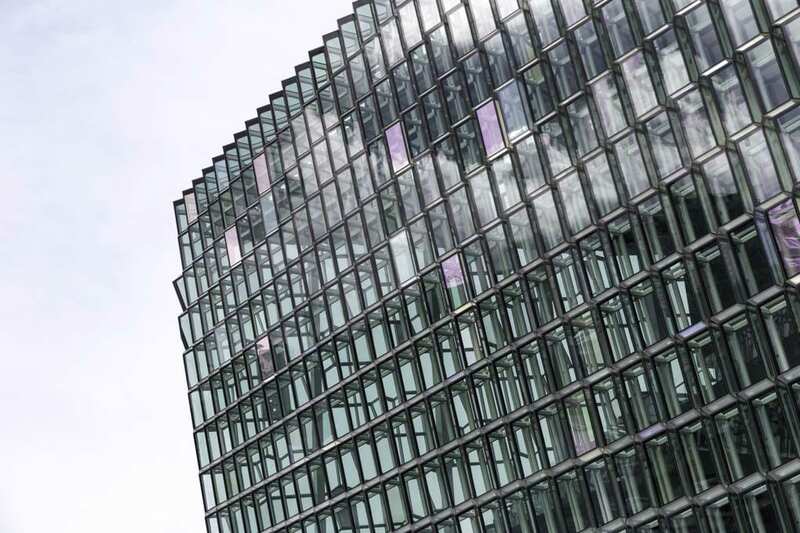 Harpa is one of the top ten best-designed buildings in the world according to Architectural Digest Magazine and in 2013 Harpa won the Mies van der Rohe award for the best public space, the Arkitekturmassan Awards in 2012 and World Architecture Award in 2010. The exact location is at Austurbakki 2, 101 Reykjavík, Iceland. It is located down by the harbor and boats surrounding the stunning building. One side you have a view over Reykjavík and the other ocean and mountains on the next peninsula. On a good day, you can see all the way over to Snæfellsnesnes peninsula from Harpa and even the mighty Snæfellsjökull glacier. Christmas Concerts (December): This is something all music enthusiast visiting in December should read up on. Google Christmas Concerts right before your visit and check the websites midi.is or tix.is for tickets. 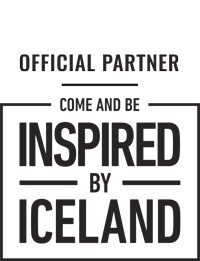 Gourmet Food Festival (March): If you are a foodie and are visiting Iceland during the first weekend of March, don’t miss out on the largest Gourmet Food Market in Iceland! 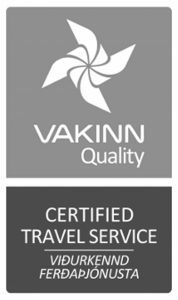 Just be sure to follow the Harpa page for further info or changes. 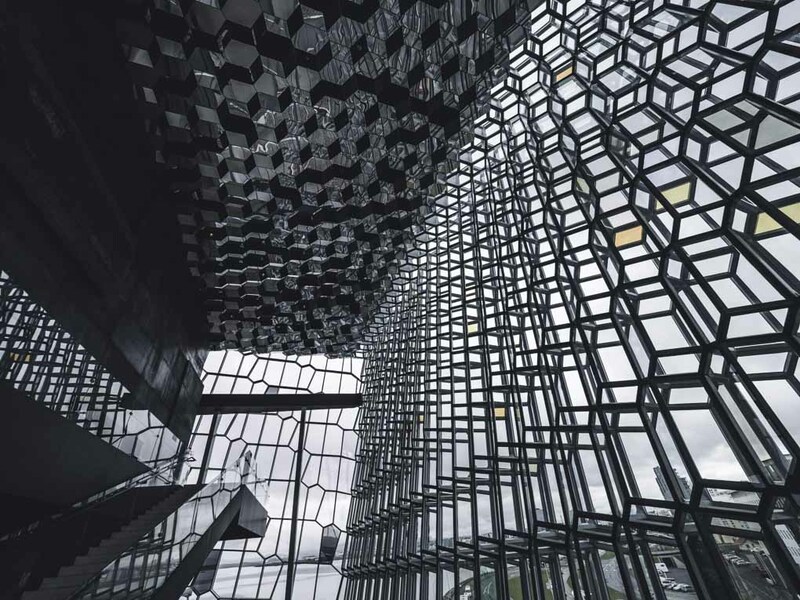 Get a guide to take you through the award-winning architecture of Harpa and get to explore the areas that are not open to the general public. The guide will share with you some of Harpa’s best-kept secrets and tell you all the odd stories and incidents that surrounded the building of Harpa. Get a course in how the Icelandic nature, with all its volcanoes and the stunning Arctic light, inspired the extraordinary design of Harpa. Get a chance to photograph the building from new unforeseen angles all whilst exploring the less visible brilliance of the world famous architectural masterpiece. 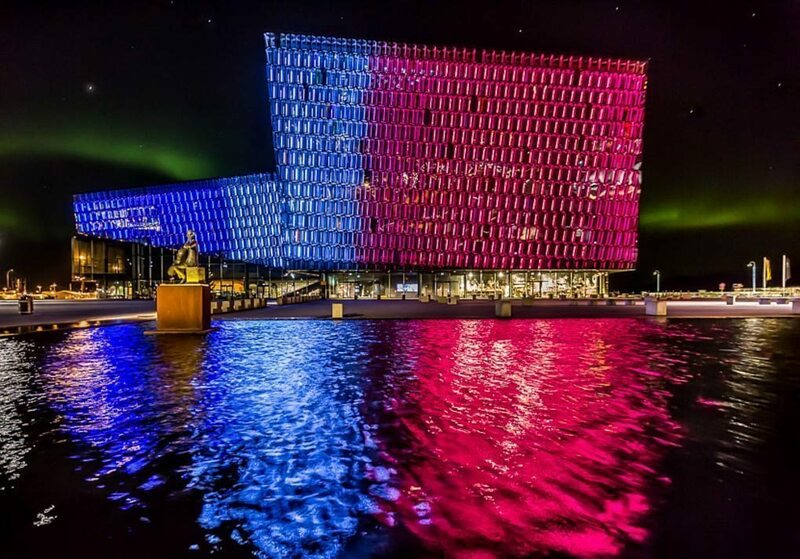 If you visit Harpa you have the amazing opportunity to visit the Iceland Expo Pavilion that was designed for the World Fair that was held in the year 2010 in Shanghai, China. The Pavilion features an amazing 360-degree film where the walls and ceiling form a visual unity. 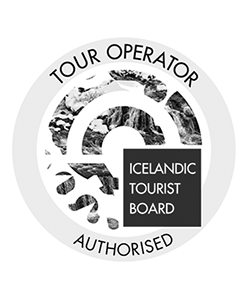 The aim of the show is to present the best of Icelandic nature in a short 15-minutes film. A show put up by two Icelandic actors where they play out 40 Icelandic sagas in 75 minutes. This comedy roller coaster has gotten great reviews and is recommended to anyone looking for a fun night! A hilarious show about the trades and behavior of Icelanders. This show started in Icelandic and people adored it and now it is shown in English and the show has been sold out for 5 years in a row. Come, see, laugh, and learn. Harpa has two restaurants, one a more chill café on the first floor called Smurstöðin and the second on the 4th floor called Kolabrautin. You might need to make a reservation for Kolabrautin but the cuisine is simple but of great quality. The view is stunning! 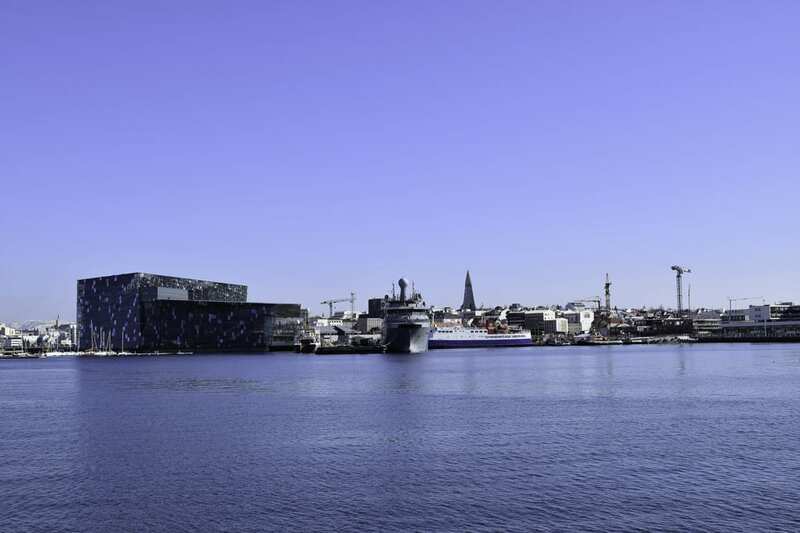 Harpa has a great range of shops with Nordic design, a bookshop, and a flowers shop and other gift items. 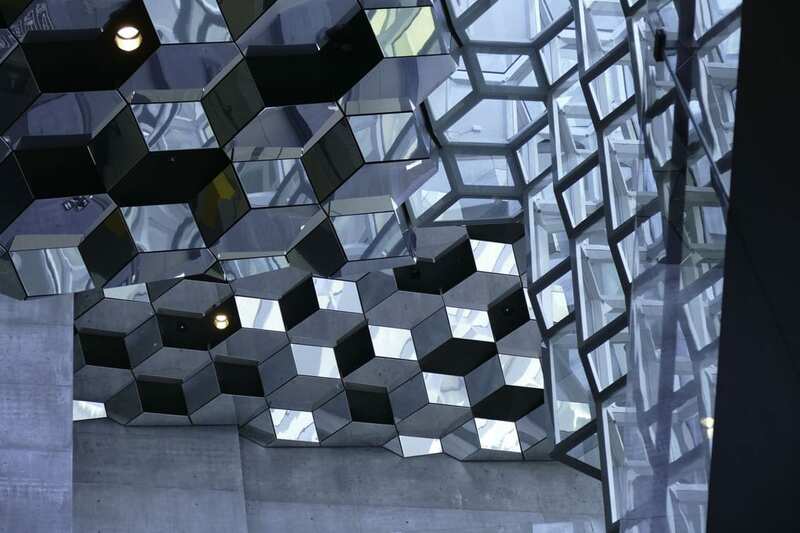 You can easily park your car underneath Harpa in the multi-floored parking garage. Black Mirror (2017) Netflix series, the episode Crocodile. 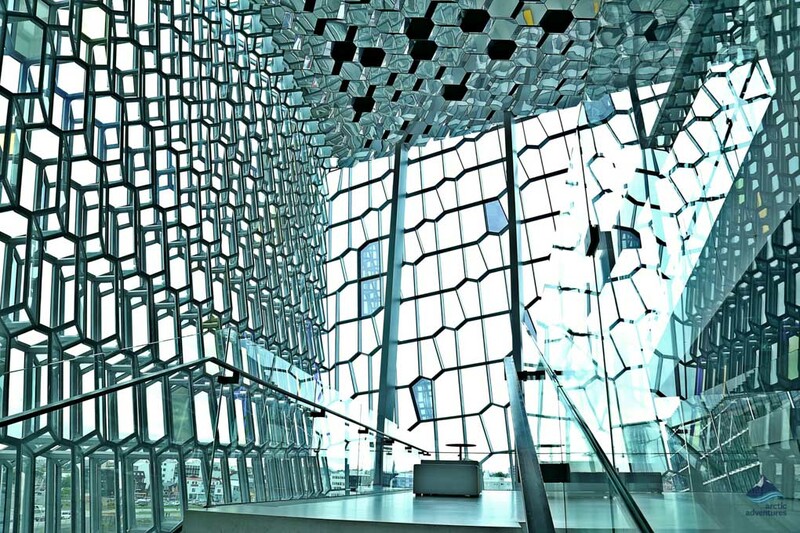 One scene was filmed at the Harpa Concert Hall where Mia gives a speech. Sense8 (2015) Netflix series, episode 10, What is Human. A map and a camera were all I needed to explore the beautiful city Reykjavik and to see it in all its glory. It was a sunny Friday, a perfect day to go outside for a walk in the capital city of Iceland. I discovered and visited so many beautiful places.